A light pink to a violet-pink gemstone that really shines, morganite is certainly the best-known gemstone from the colorful group of the beryls, like emerald and aquamarine. Morganite’s beautiful, feminine colors are a result of the presence of manganese. Morganite engagement rings can be a good alternative to the traditional diamond engagement rings. Morganite is named a Crystal of Divine Love. This stone brings assurance and promise. 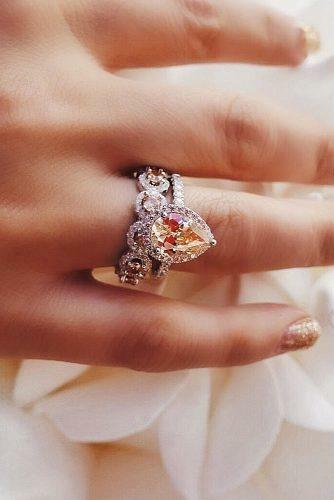 Therefore morganite ring will be wonderful choices for engagement and your girl will have an unusual and gorgeous ring.